Today is a sad day for me. After a week with my whole family here, flour and colored sugar all over the kitchen, pop and fancy beer chilling in the garage, every bed, floor mattress and towel taken, toys and socks and shoes from basement to bedrooms, fires in the fireplace, piles of books, CDs, videos, computer toys, sweaters, jewelry, board games under the tree, and laughter, hugs, and constant chatter, the ten of them are gone. I have to admit I am exhausted from all the chaos, staying up too late (and grandchildren jumping on me at the crack of dawn to wake me up), cooking and endless dishwashing (although I had help with these). But would I do it all again? You bet! Just when I thought we had a crazy Christmas, I received a photo from the mother of our youth pastor. His wife is one of 12 grown children. 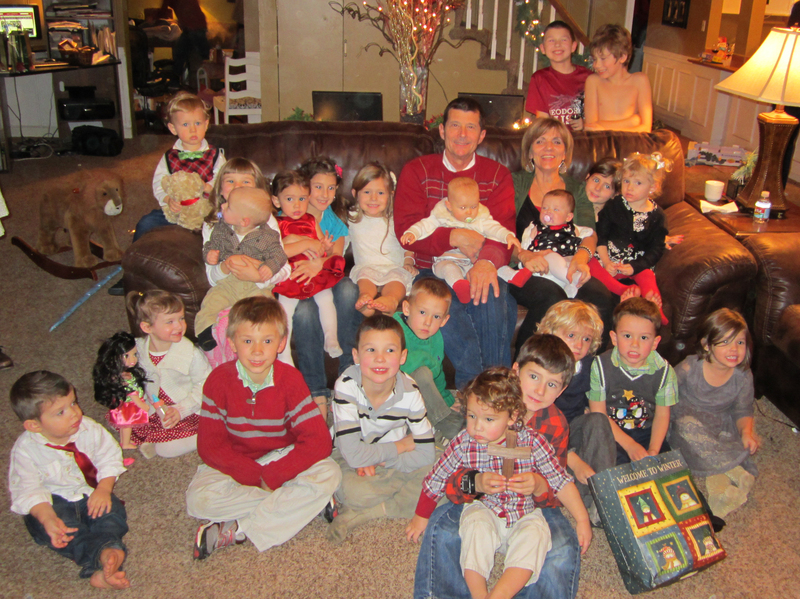 Their clan celebrated Christmas at their folk’s home in Kansas City. All I have to say is “HOLY COW!!! 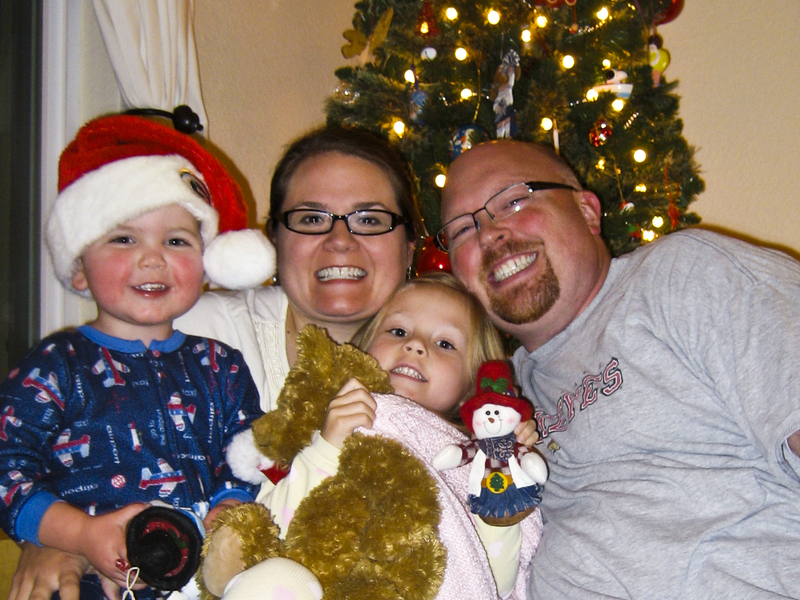 !” As soon as I download my Christmas photos from my camera, I’ll publish the photo of my clan. When declining health forced Isaac Watts to cut back on his preaching, he turned to another task. In 1719, at the age of forty-five, he sat under a favorite tree on the Abney estate-property of close friends and penned the now famous words of Joy to the World. Ironically, Watts never intended his hymn for Christmas use. Instead, he simply intended to paraphrase the words of Psalm 98: “Shout for joy to the Lord, all the earth . . . for he comes. . .” (vs. 4, 9). Amidst his poetry about Christ’s second coming, however, Watts also provides fitting words for our Christmas frenzy: “Joy to the world the Lord is come . . . Let every heart prepare him room.” Prepare him room-significant words for any time of year. Yet perhaps we need to hear them the most at Christmastime, when so many things can distract us from our faith. Joy to the World includes references to other Bible verses as well, including Gen. 3:17, Rom. 5:20, and Luke 2:10. Yet despite its lack of reference to Mary, Joseph, shepherds, angels, wise men, or the manger, it has become one of the most beloved Christmas carols. In a season for celebrating our Savior’s birth, Watts’ hymn beautifully expresses our joy at the coming of our Savior. What does it mean to “prepare him room”? Why does the birth of Jesus Christ bring joy to the world? How you handle the tough things in life is the difference between peace and frustration, between contentment and anger, and between joy and discouragement. It’s all about what you dwell on, not what you’re going through. If you dwell on what’s beautiful, if you dwell on what God is doing, or how you can lift up other people, you will choose joy and it will spill out into the world. A lot of us have it just about memorized - but it’s still a Christmas classic - the Charlie Brown Christmas special on TV. You may be able to hear that familiar piano theme in your mind even now. Right? Charlie’s efforts to find the meaning of Christmas are, of course, repeatedly frustrated by Lucy’s big mouth and Snoopy’s garishly decorated doghouse. But then there’s Linus on stage, in the spotlight, reciting the story of the first Christmas from the Bible. And Charlie Brown’s Christmas tree, of course! It is, of course, the last tree on the lot: it’s bedraggled, it’s broken, and pitiful. But Charlie insists on giving that miserable little tree his tender loving care. And by the end, that tree, fully decorated, has become the beautiful center of the whole gang’s Christmas celebration. It is amazing how a broken tree can become special with some tender, loving care; or more importantly, a broken person. With all the joy of the season, Christmas can also be a time that reopens a lot of old wounds; a time that intensifies the loneliness and the broken parts of lives. And yet there’s hope in that simple birth announcement the angels made the night Jesus arrived on earth, “A Savior has been born to you.” A savior! Ultimately, what has broken us is the sinning that’s been done against us and the sinning that we’ve done against others - and, most of all, against God. That’s why we need a Savior, a Rescuer. In a word, the Bible calls it “lost.” But that’s why that baby came to Bethlehem. That’s why Jesus went to that horrific cross to die. He was paying the penalty for every wrong thing you and I have done so He could forgive us and erase every sin from God’s book, which means we can go to heaven when we die. He loves us so much He gave His life so we could be with Him forever. And then He came back from His grave to prove He’s got the power to deliver on all His promises. 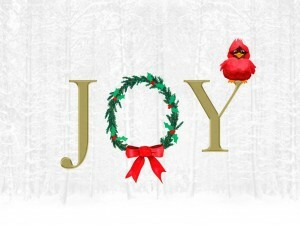 Joy! Charlie Brown’s love made something special out of a broken tree. Jesus’ love for us led Him to be broken for you and I on the tree where He died so you could have a brand new beginning. That’s what the angel was announcing at his birth. Luke 2:10-11 “Do not be afraid. I bring you good tidings of great joy, which shall be to all people. 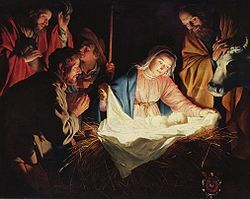 For unto you is born this day in the city of David a Savior, who is Christ the Lord.” All people! Be joyful! The joy we are to have is His. It must carry us though all of our experiences and situations. It must rule our character and response, it must set the tone of how we engage and respond to others, whether it is prosperity or adversity, whether we are in the oval office or living in the streets. As you meditate on the truths about our Lord’s coming, I pray that you will experience the best holiday feeling of all - the joy of knowing “the Lord has come” into your heart. And that should make you smile! 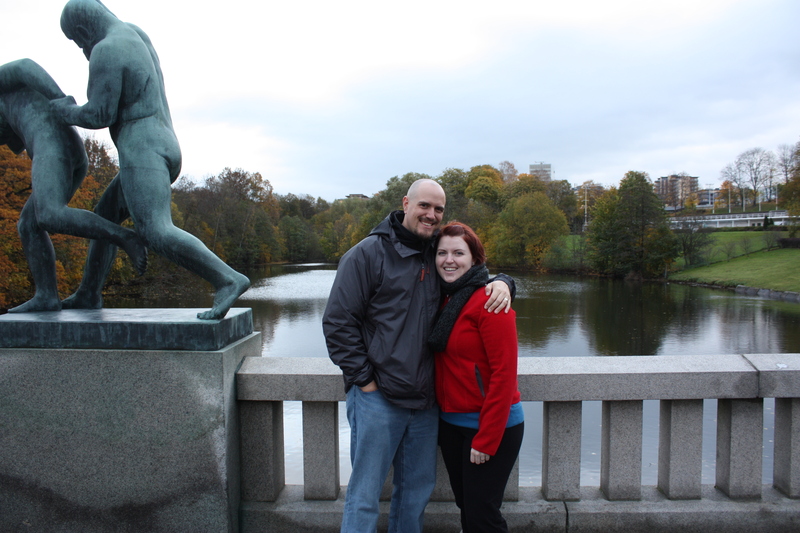 My daughter Rachel and her husband, Mike, were able to take a “working” trip to Oslo Norway this fall. Looks like they were having fun! Scripture: Isaiah 9:6 “For to us a child is born, to us a son is given, and the government will be on his shoulders. And he will be called Wonderful Counselor, Mighty God, Everlasting Father, Prince of Peace. So here it is, the second week of December, and despite my best-laid plans, I am feeling the same annual PANIC! My house isn’t decorated yet, I’ve baked nothing, I’m behind on my sewing, Christmas cards are arriving from the eager beavers (don’t you just love those eager beavers! ), and my out-of -town gifts are not ready to mail. Therefore, I am writing this D-mail on the subject of heavenly peace - because I need to hear it and perhaps you do too. Perhaps you, or someone you know, suffer from an anxiety disorder (generalized anxiety, panic disorder, obsessive-compulsive disorder, phobias, or post-traumatic-stress disorder). 40 million Americans do. Besides the overt symptoms of tight stomach and neck muscles or tension headaches, excess stress hormones wear on the body, nipping away at the DNA that keeps cells dividing and long-lived, constricting blood vessels and causing high blood pressure. Even the immune system is affected, as white blood cells that normally patrol for bacteria and viruses aren’t produced at normal, disease-fighting levels. 1)	Challenge stress, which occurs when you feel like you can cope with a situation and despite its high demands, you have the resources to handle it. This is what we might call good stress. 2)	Threat stress, which occurs when you feel unable to handle a situation and may even move into a fear or panic response, i.e. bad stress. “If we can’t make the distinction between a room full of wild tigers and a conference room full of mere people,” says Time’s Alice Park, ” mortal terror can consume us. And while our experiences of this sort don’t come very often, there are also the subtler worries that grind us during the day and leave us staring at the ceiling all night. If worrying gets going too long, it actually overrides the ability to problem-solve, which is what the stress response was intended for. If you perceive you can cope, you will not feel as stressed. One of the problems of chronic worriers is that they tend to have predictions of catastrophic outcomes that crowd out their consciousness. A better approach may be to accept that your performance might miss the mark, or even crash and burn and then decide that even if disaster strikes, it won’t be fatal. Other coping strategies include planning and organizing ahead of time, practicing as much as possible, getting enough rest and good nutrition, making your to-do lists shorter, breaking down demanding tasks into daily or hourly bites, and accepting help. Help from God is vital. Even Jesus, when he was in the garden of Gethsemane facing crucifixion, undoubtedly the most stressful and terrifying experience anyone has ever had to face, did not think, “Well, I’m the son of God so I can handle this. I created the world; no worries. I can do this.” No, he asked his disciples to pray with him and support him and then he poured out his mortal fear to God in prayer until he came to a place of peace within. The prophet Isaiah lived in a tumultuous time in Israel’s history, so it is not a surprise to see so many references to peace in the book of Isaiah. We’re all familiar with stress and anxiety–they’re part of everyday life, and we’re always on the lookout for ways to reduce them. However, the Bible has a startingly simple solution for anxiety: trust in God, and find your anxiety replaced by a spiritual peace beyond anything you’ve experienced. Giving thanks not for, but in anxious situations is like the instructions to an airplane pilot to increase altitude to find less turbulence. It elevates you to higher and smoother air. It’s what takes you out of the turbulence of the Worry Zone into the peace of the God Zone. In Matthew 6: 25-34, Jesus himself addresses worrying. He knew it was a natural human impulse. Worry eats at us. It mires our hearts in apprehension and fear. It saps our strength and drains our peace. This passage asks us if we are focusing our mental energy on the right things. Why waste our time worrying about passing matters when God has promised to take care of us? How much time do we spend each day worrying? Food, shelter, jobs, relationships… these things are important, and it’s natural to worry about how we’ll find or keep them. But this passage reminds us that these worries simply pale before the importance of Christ–and that if we focus on Him instead of on our mundane daily worries, we’ll find that God actually provides all of those things too. I was thinking about all the references to peace in our Christmas carols. Could Silent Night be the most beloved of carols because it actually makes us feel peaceful? Lyrics about peace: Sleep in heavenly peace, Comfort ye my people, speak ye peace, saith the Lord, Hail the heaven born Prince of peace, God rest you merry gentlemen, let nothing you dismay, Peace on earth, good will toward men, among many others, comfort us with the knowledge that Jesus brought peace to a troubled world at his birth and brings peace to hearts and minds when we allow him to be “born in us today”, as it says in O, Little Town of Bethlehem. When my children were small, they had an album ( real vinyl albums in those days!) that they played constantly. On it was the following song. I’ve always thought its lyrics were the best definition of peace I’ve ever heard. May your heart be calmed, may you have peace about what is most important this Christmas season, and may you sleep in heavenly peace each night, as you allow the Lord Jesus Christ to live in your heart and mind. and be gracious unto you; the Lord lift up His countenance upon you and give you peace. For the coming weeks of advent, leading up to the celebration of the coming of our Lord Jesus to this earth, I would like for us to unwrap five gifts that Jesus brought us for Christmas. Of course, we consider Jesus as God’s “Christmas” gift to us, but I’d like us to consider five gifts that Jesus gave us. The five gifts are Beauty, Peace, Comfort, Joy, and Glory. This first week let’s unwrap Beauty. In Song of Solomon 2:1 it says, “I am the rose of Sharon and the lily of the valleys.” Jesus has been referred to as the symbolic rose of Sharon and the lily of the valley. 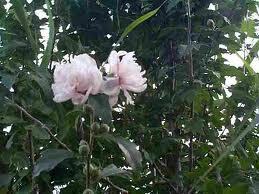 I’ve always been curious about this rose of Sharon, so I looked it up. Sharon is one of the largest valley-plains in all of Palestine. Back at the time of Solomon, it was a wild, fertile plain covered with beautiful flowers and known for its beauty and majesty. The roses of Sharon are thought to have been wild roses similar in appearance to our primroses. 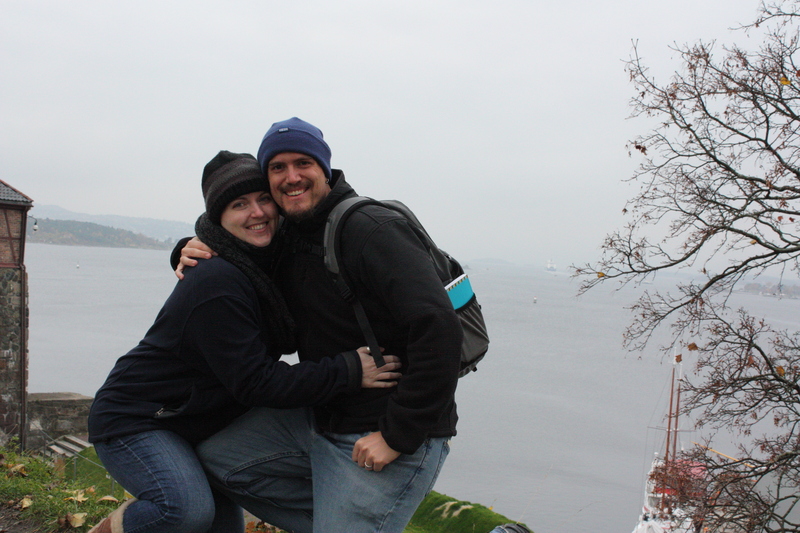 The Song of Solomon is a love story that has a deeper symbolic meaning for us. Jesus is the Bridegroom and the Church is his bride. Customarily, the man is the one who brings roses to his bride. Since Jesus is considered the Bridegroom in His personal relationship with His church, it would thus be Jesus coming to us to give us the flowers. However, God may be going one step further in this metaphor, telling us that Jesus, who is perfectly beautiful in His nature and personality, is actually the rose of Sharon itself. The lily is considered a symbol of purity. Again, as Christ is perfect beauty, symbolized by the rose, he is also perfectly pure. Jesus came to earth to show us what beauty and purity looks like. But sometimes, we do not recognize this beauty. Let me tell you a little story about beauty that we might have passed over. I think I will call it The Blue Rose of Sharon. It was the day before Christmas. Our household was bustling with visiting family when my wife asked me to run to the store for her to pick up some last minute items. The supermarket parking lot was jammed, so I drove on to a small corner grocery instead. “How old am I, Mommy?” he asked his mother as she pushed her cart towards us. “That’s all right. I’m not in a hurry. Please go ahead of me.” I said as I turned back to Denny. While we talked several minutes about school and bicycles and Christmas, I watched his brown eyes dance with excitement, because he was the center of someone’s attention. The abruptly he grabbed a candy cane from his mother’s cart and began to tear off the cellophane. But for the grace of God, this mother could have been me. Denny, the Blue Rose, shone with the beauty of Jesus, the Rose of Sharon, and yet how often have we passed that beauty by? Those with physical and emotional disabilities are the ones that Jesus healed! “December 3rd is International Day of Disabled Persons. The number of people with disabilities in the U.S. is staggering. According to a 2002 report by Americans with Disabilities, 18% of Americans live with some level of disability. The severely disabled represent 12%. Four million kids 6 to 14 and 72% of seniors aged 80 and over are disabled. My grandson was born with hydrocephalus and spina bifida. My nephew, 51, has the mental capacity of a three-year-old and cannot speak. Part of their care is funded by the states where they reside. Today’s economy, however, has forced many states to cut programs for the disabled. You too may have a disabled loved one or acquaintance. If you do not, perhaps like most people you turn your gaze away from them. It may be scary to interact with someone unlike ourselves. How do we communicate with them? Do we need to shout to the deaf and the blind? What if they speak to us and we don’t understand them? How will the mentally handicapped react toward us? How do we communicate with war veterans who have lost limbs or who suffer with obvious Post-Traumatic Stress Disorder? The disabled are often left out in the spiritual community, too. Churches accept handicapped people as members, but how many offer programs specifically geared toward their spiritual guidance and growth? Thankfully, one church-related group that offers services for the disabled is Special Touch Ministries. They provide fun and fellowship at summer camps in an environment of unconditional love, safety, and total care. I know. I spent a week at their Wisconsin camp and it changed my life. More than that, Special Touch helps Christian groups organize ways to offer fellowship, fun, and acceptance to the disabled and their families. “Chapters” meet regularly to provide spiritual training and encouragement to handicapped people who don’t receive it elsewhere. The chapters also bring new awareness to the Christian community about the needs of the disabled. Thank you, Sally. And may I suggest during this season of great beauty, that the next time you see a Blue Rose, don’t turn your head and walk off. Take the time to smile and say hello. If you do this unto a Blue Rose, you are doing it unto the Rose of Sharon.